1. Watch the Calendar. Doctors sometimes recommend implantation of a “retrievable” IVC filter to capture a pulmonary embolism, which is a blood clot that has broken loose from one of the deep veins in the legs and which can travel to the heart and lungs, causing serious health problems. An embolism can form in the veins of patients following surgery (embolism can form in the body for other reasons too). Doctors can sometimes stop the formation of a blood clot through the administration of blood thinning drugs, but not all people can handle blood thinners. In those cases, doctors may recommend implantation of an IVC filter to serve as a kind of catcher’s mitt to capture the blood clot as it travels up the inferior vena cava (the large vein carrying blood from the body to the heart) toward the lungs and heart. The thing is, retrievable IVC filters are not meant to be permanent, and doctors recommend removal of the device as soon as the threat of embolism has passed, and almost always less than two months after implantation. So if you have a retrievable IVC filter implanted, don’t rely on your surgeon’s office to remind you to return and have it surgically removed. Remember the date of implantation, and talk to your doctor regularly about the appropriate time to remove it. The sooner the better. 2.Get It Out. This is not always easy. In fact studies have shown that the IVC filter often cannot be surgically removed from the body. 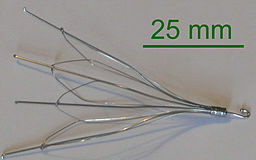 The IVC filter can migrate or travel within the inferior vena cava and often cannot be successfully removed. In other cases, surgeons have removed IVC filters with one or many spikes missing, which means those spikes are still in your body, floating somewhere in your blood vessels, lungs, or heart. The IVC filters can also rotate or turn, making them useless for capturing blood clots but also causing complications inside the blood vessel. If your surgeon can retrieve it—and retrieve it quickly after implantation—get it out of your body. 3.Maintain Steady Communication With Your Doctor. If you believe your IVC filter may be moving or causing you problems, your first priority is to get it out and get back to good health. So call your surgeon’s office regularly and remind them of the IVC filter and alert them to any new symptoms. If it turns out the IVC filter has migrated or broken in pieces, you will want to have that information as soon as possible and you may need to schedule emergency surgery. But again, you need a good doctor on alert to help you analyze your medical situation. 4.Start a Symptoms/Pain Journal. For a failed IVC filter, this symptoms journal may extend for just a few days or even a few hours, but the more information you can write down the better. It is simple enough: When you first begin to notice any sensations or pains which seem abnormal or unexpected, write down a brief description of the pains on a piece of paper (or a notes app on your smart phone). The more detail the better—note the kind of pain you feel, the location, and any other descriptions. This journal may provide important information for your doctors but also for your attorney as he or she prepares a settlement package or a lawsuit. A pain/symptoms/well-being journal can provide valuable information to an attorney putting together the best case for you in the event you have a viable claim against a manufacturer for a failed IVC filter. 5. Keep Records of Expenses and Missed Work Time. Keep accurate records of all bills incurred and any out-of-pocket expenses you are paying for your surgery, recovery, rehabilitation, medications, etc. Manufacturers of defective products may be obligated to pay the out-of-pocket expenses to a victim of a failed IVC filter. Also, keep detailed records of all time missed from your employment, including sick days which you were forced to use, and days out of work for which you lost compensation. 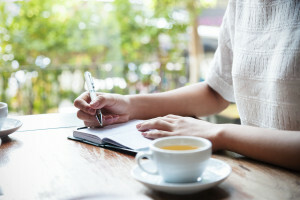 Make notes for each day missed from work, and why you missed work (e.g., “Missed work June 23-30 due to IVC filter removal surgery at X hospital, recovery at home.”). Keep a file with any documentation you receive from your surgeons, cardiologist, or your primary care doctor, your pharmacist, and any other professionals who participated in your surgery or follow-up care. 6. Do Some Research. Start with the U.S. Food and Drug Administration website (https://www.fda.gov/MedicalDevices/), a federal government website which provides timely information on the latest recalls or problems associated with medical devices such as IVC filters. Also, you may want to review the court website associated with the IVC filter device you have implanted. I also (cautiously) recommend going to established news outlets, such as The Wall Street Journal, The New York Times, The Washington Post, and other reliable publications. 7. Find a Good Lawyer. Many attorneys advertise but don’t litigate or even represent the people to whom they are marketing their legal services, and other attorneys throw up a laundry list of practice areas in which they claim expertise. You will want to find an experienced attorney who practices plaintiff-side product liability and personal injury law. Take your time with this important decision. Note: I am not a doctor. Always consult a trusted doctor with any questions related to your health. I am, however, an attorney. If you have legal questions, call me: 919.546.8788.